The new Quickfencer Multi and Quickfencer Farmer offera host of extra features andfunctionality when it comes tothe unrolling and tensioningof wire fencing and build onthe considerable success and reputation of the Standard 80machine. John explained: “The Multi and Farmer models are highly flexible,heavy duty machines designed to be mounted on upto 200hp tractors. The Farmer is a 80cm machine whilst the Multi is 125cm. Both machines can be used with the tieoff facility suitable for metal andconcrete posts. clamping and feature adjustable arms capable of performing in threedifferent positions on both the leftand right of various sized tractors. 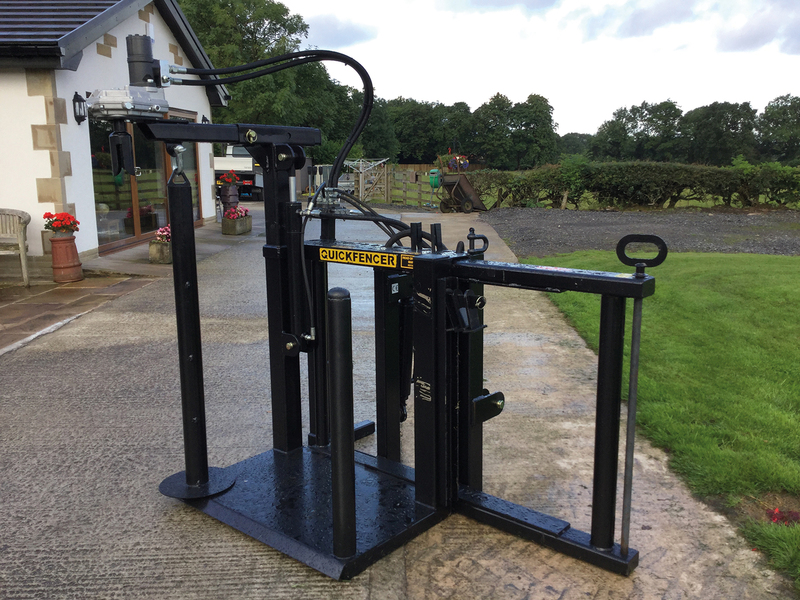 of barbed wire whilst the Farmer, starting from £1800, can take two in its standard form and both modelscan be fitted with a hoist and re-rolling machine as extras. “Sales have gone through theroof since their launch at the 2017Highland Show!” exclaimed John. Quickfencer is stillmanufacturing the tried and tested Standard 80 but is constantly looking to develop new machines that improve the user experienceout in the field. “I’m always available, day ornight, to talk to fencing contractors, farmers and landscapers about their needs although I won’t answer if I’m having my tea!” joked John. Quickfencer and long may that continue!